Many experts believe that Pemex or Petróleos Mexicanos the state owned oil monopoly is the jewel of Mexico. For years it has funnelled billions into state treasury funds for schools, highways, ports and hospitals. Yet, even with Pemex being credited for building the Mexican nation, officials have acknowledged that the inefficient company is in financial trouble. Officials have been quoted as saying that if the company is not opened up to foreign and private investment Mexico will find itself a net energy importer within the next ten years. This is quite a shocking revelation given that Mexico is currently in the top ten of the world’s largest oil producers. As Mexico’s new president begins to establish his administration, he is looking set to create plans which will overhaul Pemex and meet with great political opposition. The reason behind this is that many Mexicans believe that the removal of foreign oil companies in the 1930’s allowed Mexico a sense of true independence. Some believe that allowing foreign investment back into the Mexican oil sector will allow greater powers access with their troops. Experts are anticipating landmark legislation for energy reform, which should include proposals and policies addressing Pemex. Industry experts and government officials believe that advancements in technical expertise which will come from outside investment and companies is the only way to retrieve reserves of gas and oil from shale rock and deep water formations. These sources are estimated to contain over half of Mexico’s reserves totaling over seven billion barrels. However, Pemex is currently not allowed to choose their associations which would reduce risk levels of deep water exploration. Pemex executives believe that the company needs flexibility and budget autonomy to be able to form joint ventures. This would require significant changes to the constitution and will be a politically sensitive battle for the government to instigate. Even mention of parties agreeing to reform by President Peña Nieto sparked fierce debate and argument about Mexico’s ability to remain independent from foreign interference. However, even opponents of reform cannot deny the legendary problems associated with Pemex. The company’s past history of poor management decisions, corruption, huge union demands and inefficient corporate structure, it provides a business model of how an oil company should not be run. According to a study from 2011, Pemex revenues per employee is a fraction of the oil giant BP and approximately half of the part state owned Oil Company from Brazil Petrobras. Even Pemex executives acknowledge that Mexico is decades behind industry standards regarding deep water exploration. They haven’t had the pressure to pursue riskier searches since there was an abundance of inland and shallow water oil. This meant that the engineers have not kept up with the technological advancements which are commonplace with competitors. 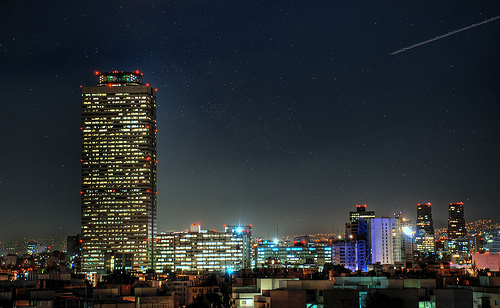 Mexico has a wide array of sources of energy which is almost as diverse as the United States. However exploiting them is too overwhelming for one single company. There is much speculation as to how the Mexican constitution could be amended to allow production sharing agreements, or if secondary laws will allow other opportunities of cooperation, or whether taxation will be reduced to allow investment and make Pemex more efficient, but until the discussion is not focused on solving the problems of Pemex, the obstacles are too great.